Unique in that it focuses on formulation and case studies ratherthan solutions procedures covering applications for pure,generalized and integer networks, equivalent formulations plussuccessful techniques of network models. Every chapter contains asimple model which is expanded to handle more complicateddevelopments, a synopsis of existing applications, one or more casestudies, at least 20 exercises and invaluable references. Fred W. Glover is known for his contributions to the area of metaheuristics and for launching the computer-based optimization methodology of Tabu search and the associated evolutionary Scatter Search and Path Relinking algorithms. 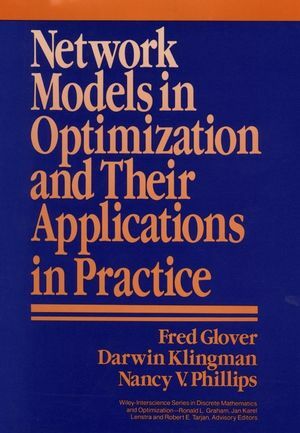 Darwin Klingman is the author of Network Models in Optimization and Their Applications in Practice, published by Wiley. Netform Origins and Uses: Why Modeling and Netforms AreImportant. Fundamental Models for Pure Networks. Additional Pure Network Formulation Techniques.